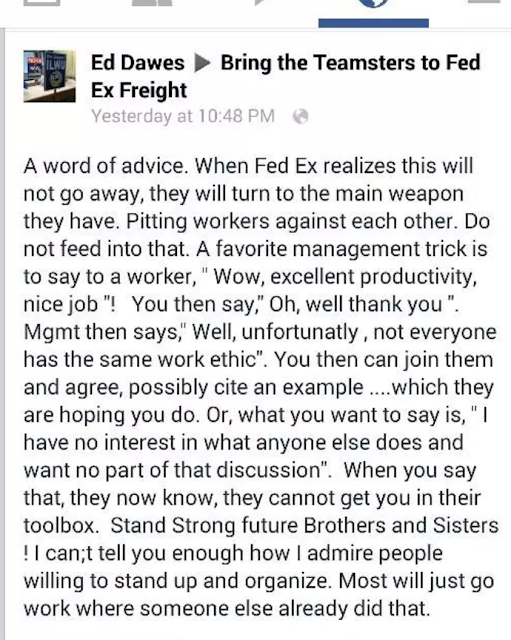 I think drivers at fedex freight, at least have realized that a trucking company like fedex freight needs union protection if they want to retire one day from this company. The past few years had been terrible working here, management been tightening the knot around our necks in every aspect. Now This is a JOM we like!